Without the funds, an institution cannot run which makes it that much important to keep focused resources while collecting fees and funds. In traditional environments, a separate set of people with matching skills are put in every crucial place, handling fee was no different. Staff specialising in finance was hired to handle these jobs increasing not only the cost to the institution but also created more management problems. With the margin of error being negligible, the tasks become that much daunting, creating panic on both creditor’s and payees’ end. To eliminate this problem, Fedena brings in a solution which is not only easily learnt but also quite basic. Reducing the possibility of error with a flawless robust platform, Fedena also reduces the carbon footprint while keeping the trail of the transactions. Only administrators and privileged employees can manage the fee. To start with any collection of fees, first, there is a need to create a structure composing of a fee category under which different fee types/particulars, can be grouped. Then create the particulars (students are required to pay after admission). [ Note: Only to be edited before scheduling a fee collection]. Create fee collection under the scheduled fee collection dates. For example, to accumulate fees for students till 12th standard, fee can be collected quarterly, while for graduation students it may be per-semester. Search the student according to their admission number and batch. Finally, select the payment mode and give the reference number. Fees collection on batch filter. First, select the batch and fee collection. 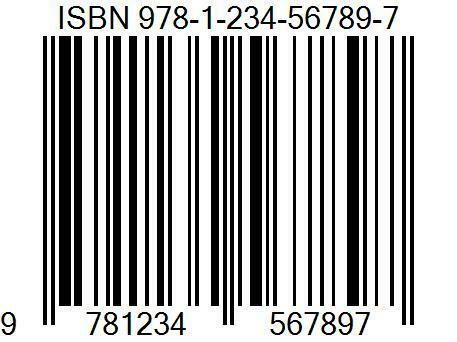 Post that, select the payment mode and fill the reference number to pay the fees. Gather the fee according to the particulars. Search a student by name or admission number. Then, set the fee collection. Lastly, select the payment mode and submit the reference number to pay the fees. To know more about Fedena school management software, Try our free demo. Fedena meets the communication system at its high! “It is not about the technology; it’s about sharing knowledge and information, communicating efficiently, building learning communities and creating a culture of professionalism in schools. These are the key responsibilities of all educational leaders”. – Marion Ginapolis. The effective communication system for an educational institution is to strengthen the relationship between parents, students, teachers and the management. School ERPs with an inbuilt internal messaging system are widely used in schools. They represent an effective, fast, secure, no cost, and smarter yet a very underutilized communication tool for teachers, students, and parents. Internal messaging has an incredibly high open and response rate, they have sparked a revolution across academic institutions. Whether we’re talking about deadline reminders, text blasts, or emergency alerts; ERP inbuilt messaging systems represent the quickest and the most effective way of getting information across to a large group of audience. 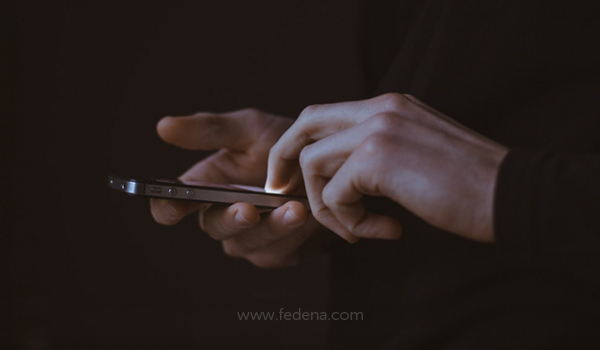 Owing to the overwhelming usage of internal messaging system which is rigorously used as a fast and effective way for communicating within an institution in Fedena, we have introduced a completely revamped version of Internal messaging and notification system which we think the fans of Fedena will thoroughly enjoy. With the new update, messages will get a more personal touch and target. The UI of the page has been made efficient which is par competent with any new age instant messaging system. Broadcast message feature allows the users to be more interactive with parents and employees in an easy way. The admin control over sending and receiving messages are roles as a Firewall! Share latest updates on Educational events and holidays as a notification. Sharing of knowledge, views and information with the parents and staff. Swift and easy interaction with teachers and school management. Ability to connect and stay in touch with parents and other stakeholders effectively, efficiently and effortlessly. Huge sums of money are wasted on photocopying, phone bills and paper. By implementing internal messaging solutions, schools can reduce expenses and man-hours. The educational market is extremely competitive and active. Schools who wish to engage and retain students consistently work to provide better visibility and improved learning systems. How the updated messaging service to Streamline Internal academic Communications of an institution. Broadcast message can be used to inform students about projects, deadlines on assignments, enrollment, graduation, returning books, exam dates, and other important events. With the help of Internal messaging service, schools can instantly notify students and parents of emergencies, accidents or suspicious characters, or send school closing alerts. You can instantly send reminders for Parents meetings, academic meetings or events using Fedena broadcasting messaging features. This will eliminate the need for notice/info boards. Send Awareness articles about any topic with freedom from character limits. Two-way texting(Reply enabled) services can be used to great effect to empower students and offer much-needed support. 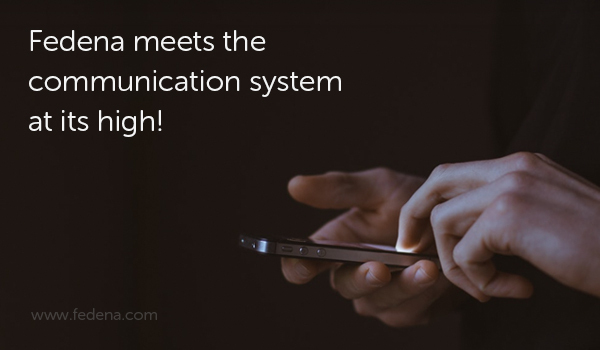 Improved internal messaging system makes internal communication incredibly easy. Up to date.With the help of two-way text messaging, schools can keep staff members up to date with relevant news at all times. In built Internal messaging systems are quickly becoming the number one choice for schools due to their incredible open rate, low costs, reliability, deliverbility. Move forward and grow only with Fedena! With Fedena, we are relentlessly focused on two things: our product and our customers. Keeping this bond is what keeps our business alive and successful. 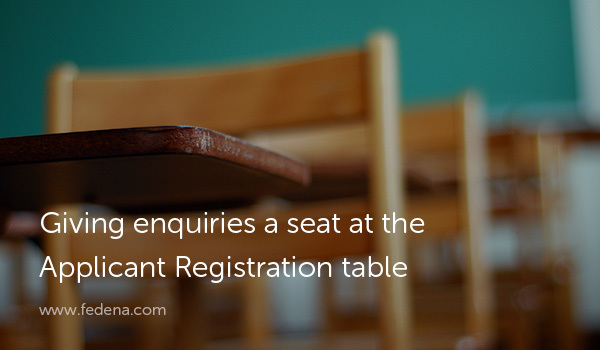 Thankfully, in the recent months, we have arrived at a solution for the need of enquiries for a school as well as the much-needed update the Applicant Registration module needed. We are calling it the showstopper update of 2017. So we don’t get a Enquiries module? If that’s your first reaction, bear with us. It might sound far-fetched but the updates we will be rolling out in the next couple of weeks will completely change how the applicant registration module looks and works like presently. But we approached this with strong assertions any institution might agree with. Priorities: Ease of use and application is our top priority for Fedena and always will be. Feedback Loops: Great products are solutions built by the product team as well as the customer feedback. Perspective: Engineers, designers, product managers and customers must be on the same page about the problem. If you agree with the above, read on to see how we approached the problem. Customer support turns you into a generalist. You are asked loads of questions and pulled in various different directions. By the end of the whole cycle, you are sincerely confused if you are representing customers in the next product meeting or the product. But over time you are able to sift through and become a product expert. You start studying the use of different modules, the applications of the product and it’s various modules in real time scenarios of customers, allowing you to come up with updates and changes the product/module needs to better help the users. Customizable Form: Apart from the bare minimum fields to admit a student, all other fields can be disabled or enabled as per requirement. Notifications: Better notifications will be given to applicants on submitting the form, being accepted to the course or being rejected. Internal Form Management: Fields and Custom status will be provided so that office level data can be managed. They can be configured for each course as per need and will not be visible to the applicants. Preview and Submit: To prevent accidental submit with incorrect entries, a preview option is provided with each form. Other changes: Select number of guardians required, improved document submission option and Instructions for applicants are some of the other planned changes. 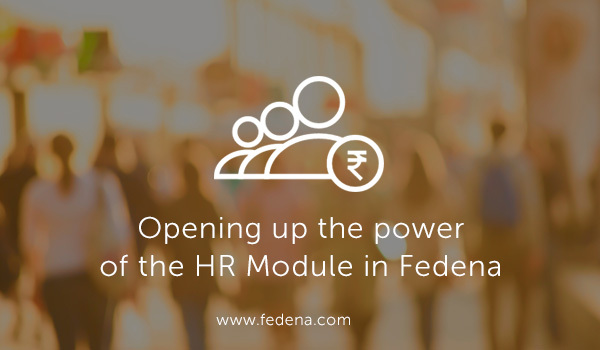 Now, these updates will help institutions in completely customizing their applicant registrations processes using Fedena and at the same time provide the much-needed enquiry module applications. This was done with careful consideration of our customer feedback, feature requests and bug reports. The new update rolls out in a couple of weeks and we will have a new guide ready with our support team as well as our sales team for all your queries and understanding. 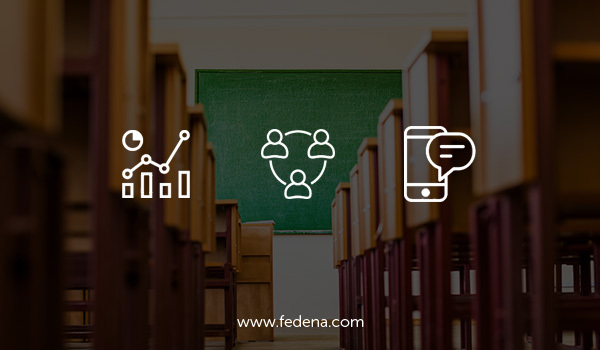 We are still experimenting and working on a lot of new things for Fedena, stay tuned for further updates on your most trusted school management software. The value a school ERP provides for an institution is provided by the problems it is solving for process planning and execution. Managing employee payrolls, loss of pays, and leaves play a huge role in any institution and we have been continuously working towards providing the best solution for any and every school. Softwares like Fedena or other school ERPs come with a huge bundle of modules and plugins, some of them which are essential for a school and some of them which serve a specific niche purpose. We have been working on the HR module in Fedena over the past few updates and we feel some of you might have missed these important changes we have added. In the first phase, we built the HR module from the bottom up to bring in many new features. The two major changes we did were the addition of Payroll Groups and Loss of Pay calculation. Payroll Groups allow institutions to configure different salary structures for different types of employees. For example, your administration staff and your academic staff may have different salary heads. With payroll groups, you can ensure your employee salaries remain distinct. Leaves and Loss of Pay calculation have been a high-demand feature from institutions. The Loss of Pay formula given to a Payroll Group is used to calculate the Loss of Pay when additional leaves are taken. Loss of Pay being a management decision varies from institution to institution and hence the user has the option to apply & choose the Loss of Pay leaves. The admin staff also have freedom to configure the formula for the Loss of Pay calculation as these formulas differ from management to management. After completing the first phase of the revamp with Payroll Groups, Leaves and Loss of Pay changes, we set out to improve other features. Based on input from different types of institutions a new mode of salary calculation was added to the Payroll Groups. This new Custom Mode released in Fedena 3.5.3 (Nix), is beneficial for institutions (especially schools) who calculate the salary from a single payroll category like Basic Salary. With Fedena 3.5.4 we are also bringing a new prorated Loss of Pay calculation mode to give more options to calculate the Loss of Pay. In this new mode, the Loss of Pay (LOP) can be pro-rated across multiple payroll categories. This allows more flexibility for institutions where Loss of Pay means the other categories are also pro-rated accordingly. We are bringing further changes in the HR module in the coming weeks. With more options in leave management, you will be able to configure different leaves for different employees. Being hosted in servers with latest security measures ensures your payroll and payslip data is safe in Fedena and only accessible to whom you give privilege. For any further assistance in figuring out the new Human Resources Features, do get in touch with our support team. So what are you waiting for? Get started with Leave and Payroll management with your favourite school management system. When we talk about the growth of schools and institutions, at most times we stop at just increasing the number of students, quality of education imparted, and improvement of grades. But what we fail to see is that schools just like all other organizations have tremendous opportunities to grow in every aspect. Especially in areas such as Parent-school communications, teacher satisfaction, faculty growth, admin satisfaction, curriculum relevancy etc. Most of these are achieved through strong feedback process cycles and to strengthen these processes a school ERP helps tremendously. 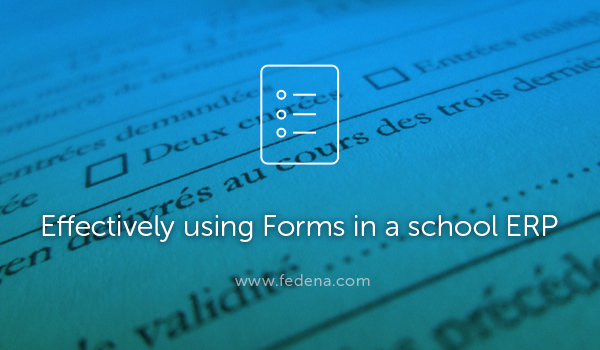 Every school ERP mostly comes with Feedback forms, survey forms in a manner of plugins or features. (If yours doesn’t, we suggest you immediately contact us to help you strengthen your processes and grow) These forms are the best way to setup feedback processes with teachers, admins, parents, students alike to get a better understanding of the people running your institution. Sometimes you can only understand what your survey results really mean when you put them in context. You can gain perspective on where your school stands. For example, you might find 47% of parents are satisfied with the school’s programs. Is that high? Is that low? You won’t know until you compare those results to other schools. Then you can highlight your strengths and define areas that need more focus. Forms allow schools to get parents’ feedback on utilities in the school. The school management has decided to introduce a Teacher’s welfare fund programme with the mutual participation of all teachers and school management. Since the idea came from management, the success of this programme will depend on the decision of both parties, the school as well as its management. Before starting the discussion the school management can collect primary data by creating a survey template in Fedena by including the survey questions to grab the individual interest of such programme. In this, the management can get a tabular form of data in excel/table for the in-depth analysis of faculty involvement. There is absolutely no need in disrupting class timings just to discuss starting the programme. This makes the complete process hassle free, collects information from teachers at their leisure and provides you a complete analysis of every faculty’s opinion as well as the school’s opinion about the Welfare fund programme. The school management and teachers council has decided to give IELTS/TOEFL training programme to the students in order to increase the opportunity to get a better higher education abroad. Even though the idea is really good and acceptable, the management is finding it hard to take the decision without the parents’ consent and cooperation. The final exams are due and time is essential for teachers. They won’t be able to spare a whole day in arranging a parents meeting to initiate the project. If this project gets implemented before the final exams this would give a competitive edge to the students as well as the school. Generally, one would collect the opinions from parents by using some online survey forms or emails etc. But by using these the user participation would be less and due to nonuniformity and unfamiliarity of survey tools, more time would be wasted in making such a survey. Here is where Fedena forms come in handy for collecting data from parents easily without wasting much of anybody’s time. What’s more, you already have every parent’s details in Fedena already, so all you need to do is make a form and use the internal messaging/notification system to notify them and voila, you have an instant approval rating for your new training programme. Each school survey covers a different aspect of education—from parent engagement to student demographics—and can give anybody in your school a way to give feedback that’ll help you make targeted improvements to your school. You can give students an anonymous, easy way to tell you their troubles. can use to find out whether your school has a problem, gauge its severity, and give victims an option to identify themselves. For teachers, it can be helpful to understand how parents feel about their child’s education and school. What’s the right teaching style for their children? How often do they help their kids with homework? Are their children fitting in at school? Find out the answers to these questions and to help teachers and administrators understand parent efficacy and whether or not students’ education continues outside of the classroom. Being a school management system catering to 20,000+ schools around the world, we’ve had the time to open conversations with teachers and school administrators to better understand their pain points. After a lot of digging, we found a similar type of dialogue/remark coming our way, “I just wish we could automatically generate timetables! A school management system with automatic timetabling would be the best!”. We feel you! So this Christmas we are spreading a little holiday cheer for school administrators and teachers around the globe with our spanking new exclusive Plugin the automatic timetable Generator. You can now save time by generating timetables of hundreds of batches under a minute with just a few clicks. A school management system with automatic timetabling! Get in touch with us today to book this brand new plugin in Fedena! Traditionally, schools are used to creating timetable structures over large sheets of paper for multiple batches over the course of many days and finally coming up with a timetable for the academic year. Subjects with preconditions—like physical education classes early in the morning or having 2 lab classes consecutively—are usually inserted first and then followed up with other subjects. After an initial framework is ready, the difficult process of adjusting for subject overlaps and teacher subject limits came next and this continues to be the most tedious task. Even after the advent of computers, while this work shifted from paper to excel sheets and software screens, it still is a very laborious and time-consuming process in many schools. Those of you who have used or followed Fedena over the years might have noticed how the timetable module has evolved. It has only increased in popularity and usage with each subsequent upgrade. During all this time, however, one of the most received feature requests was the ability to auto-generate timetable entries. However, timetable scheduling is not an easy task. In computational complexity theory, it belongs to the NP-complete class of problems—which are one of the hardest to solve. Part of the reason lies in the fact a random set of subjects put in a grid does not become a timetable. There are many factors that go into deciding where the subjects should get placed, some of them which cannot be just ‘computed’. For example, there are subjects that cannot be taught in certain timings and there are teachers who cannot be given classes at other timings. One teacher put it as the ‘emotional aspect’ of timetable generation. Many of the solutions that have tried to solve this problem did so by bringing in complicated solutions. In this first version of the automatic timetable generator, we have tried to incorporate the scenarios that schools commonly face while sticking to the Fedena philosophy, ease of use. So without further adieu let’s introduce one such setting in our new Plugin—Preferred Start Time. Some subjects, for various reasons, are preferred to be taught within certain hours. For example, it is said that Math—particularly for the lower and middle-level class students—is best when learned in the early hours of the day. This is where Fedena allows setting the preferred start time for a subject. Using this, you can specify the timing before, after or within which a subject needs to be taught. So, by giving the preferred time as shown in the screenshot below, the algorithm will give more weight to Math appearing between 10 and 12. This beta version is just the first step to building a solution that schools can ‘just use’. 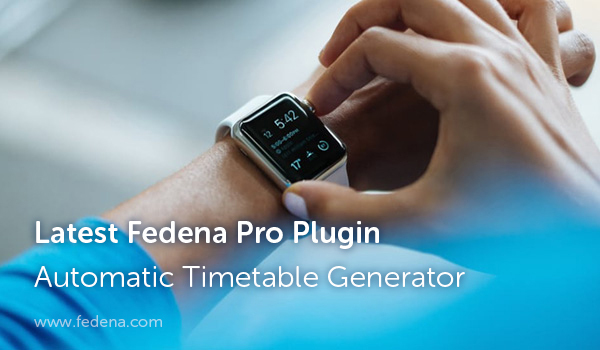 Stay tuned to the Fedena blog for more details on the timetable generator and other plugins coming in version 3.5.2. And finally, here is a quick sneak peek of a timetable getting created with this new feature. Are you as excited as we are about it? Spread the word by sharing this and tell us what you think about this new Plugin. Happy Diwali! It’s 2016 and within a couple of months, we are going into 2017. It’s been a busy and fast year, and as we progress, we also get busier. We must keep up with technology (social media, WhatsApp, etc. ), work emails to keep track of, manage our expenses (which is ever increasing), and at the same time remember to buy Diwali gifts for family, neighbors, friends, pay our debts, and the list just goes on. Our life is one torrential pool of busy schedules, meetings, and transits that hardly give us time to follow up or remember the important stuff, daughter’s quiz competition, son’s arts & crafts assignment etc. The reminder plugin was added in Fedena School ERP keeping in mind just how busy our lives are. 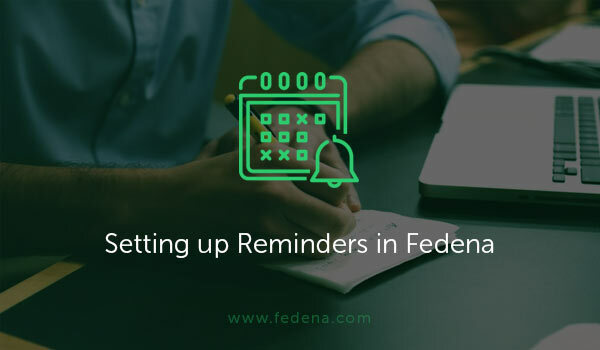 The school staff/admins/teachers/parents can be reminded of important occasions and events such as the fee due dates, parents about the exam dates, any custom reminders to any specific users in Fedena etc. upcoming institutional events or any occasions either via an SMS or an email. The admin staff with the privilege of editing the settings can choose the best method to send the reminders. • Events – Diwali celebrations, quiz competitions, PTAs, Sports Day, etc. Custom reminders can also be created to notify parents and students in your school ERP, about any type of upcoming activities in your school/institution. For example, Diwali celebrations are due in two days and your admin staff is busy with other tasks, and in the case of not having a reminder module in your school ERP, the staff would generally write it down on a piece of paper or leave a mark on the calendar. This is easily lost in the many papers you have in your admin office, but with a reminder module you can set a reminder well in advance so that all the necessary arrangements are done, parents are reminded on-time because the reminders are sent as messages to mobiles and email accounts. The most powerful use of the reminder module comes into play while scheduling fee collection in your school. The usual practice followed by class tutors is to write it down in students’ diary or send printed circulars, which can easily be missed by parents due to their busy schedules. In Fedena, a school ERP that comes with a reminder module. Reminders can be set as many times as needed with multiple options available in the reminder settings. The reminder module also comes with an option to create custom reminders apart from the default options available. This brings us to an end of this week’s tutorial and benefits of a school ERP for your institution/school. Fedena is constantly evolving and we are constantly trying to accommodate real time scenarios from schools and institutions alike that can make the life of parents, students and teachers a lot easier. Have a safe and happy Diwali! The most important part of any School ERP system is the analytics and the ease of access by multiple users of the system. Last week we discussed how you could setup your payment gateways, white-label Fedena to your institution’s name and assign multiple plugins to various institutions in your group. Most institutions function by setting up a communication with their teachers and parents via SMS notifications of various activities, ranging from attendance to event dates, payment reminders to refund of fees paid, to set this up let’s learn how to set up SMS packages in Fedena for your group of Institutions. Your SMS Package can be configured in ‘SMS Setting’ option under company details of the multischool panel. 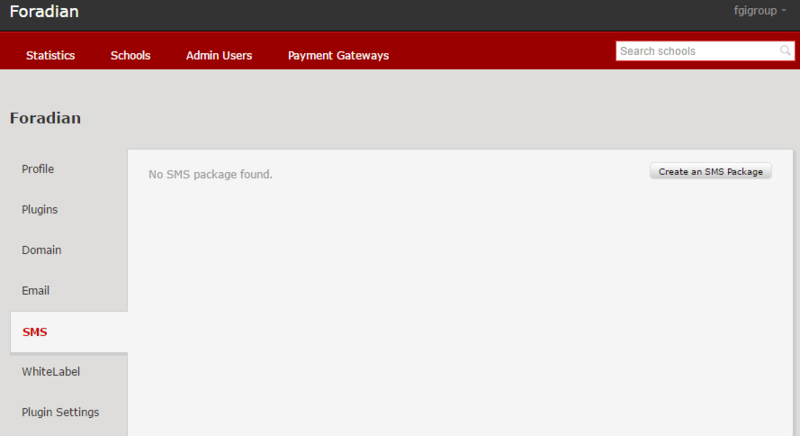 On clicking ‘Create SMS Package’, the details can be entered into Fedena. SMS package details and parameter mapping details are required to go to the next step. Enter the parameter mapping details provided by the service provider. The ‘sender name’ is the name the recipients will see when they receive an SMS. If you enter a sender name and enable Sender name modification, the sender name can be changed when assigning the package to any institution. If you disable Sender name modification, the sender name cannot be changed. After you have entered all the details, click the Create button. You can assign this package to the institution by clicking on the option ‘Add a school’. This count will now be reflected in the institution’s login. That’s how easy setting up your SMS for your group of institutions is. Now let’s get into the analytics Fedena School ERP system provides. The statistics option gives you the reports for the multischool group institutions. The dashboard shown below is an example of how you can see the information. 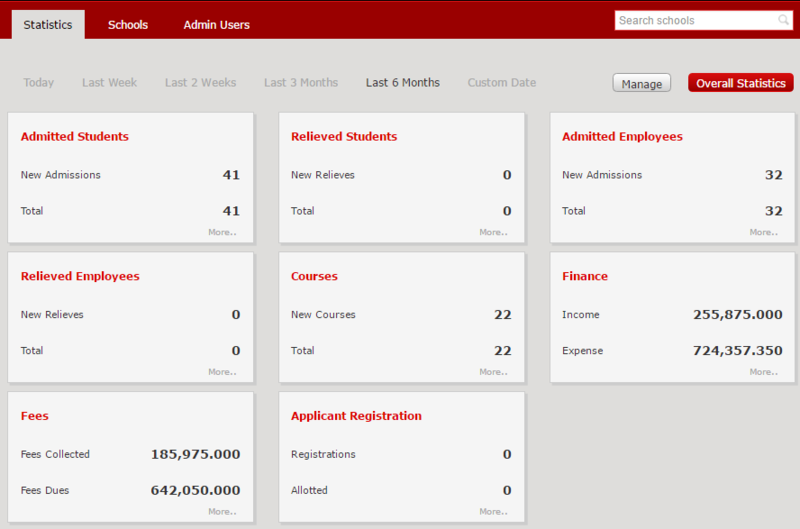 Overall statistics can also be checked and is shown below for each institution. If these details need to be seen frequently, they can be bookmarked, using the ‘Bookmark this page’ option. When you revisit the ‘Overall Statistics’ page, the bookmarks can be checked and visited. To get an in-depth understanding of the Analytics page you can always get in touch with us. Now let’s see how you can assign multiple admins for your multiple institutions. 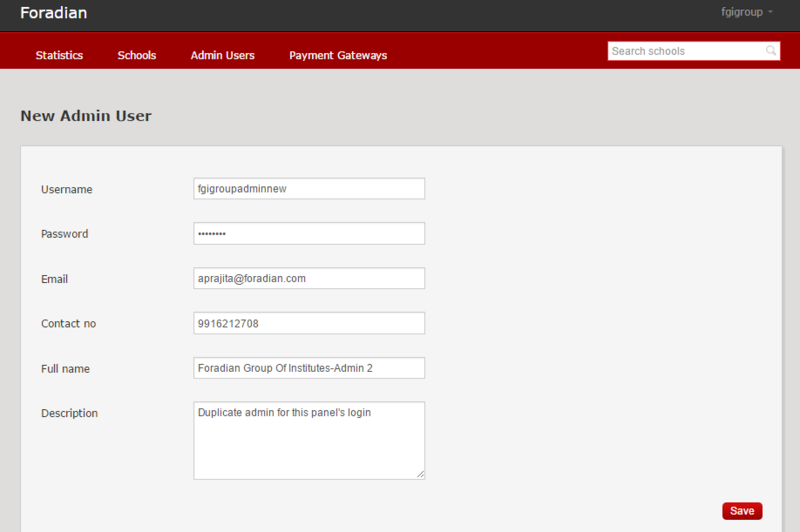 Multiple admins can be created in your Fedena Multischool Panel. For this, use the option ‘Admin Users’ and click on ‘New Admin’. Enter the new admin details and Save. These credentials can be used to login to the panel along with the already created credentials, you can repeat this process for any number of admins you require and you are done. This brings us to an end of the Multischool Panel blog series. We hope this information will help you understand how Fedena School ERP system helps automates all of your institutions’ processes and gives you actionable insights into growing your institutions, teachers, and students. Our latest release is here, Fedena 3.4.3! 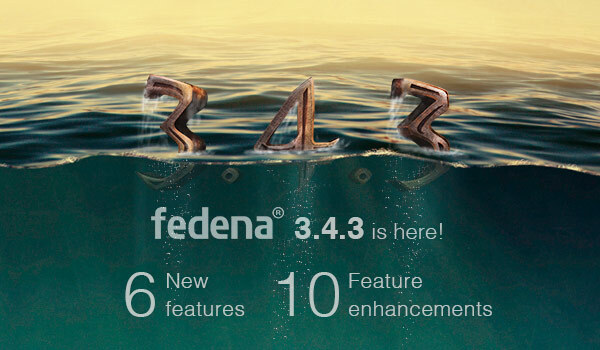 We are excited to announce our latest release, Fedena 3.4.3. Here’s a quick summary of some of the features coming to all our customers. 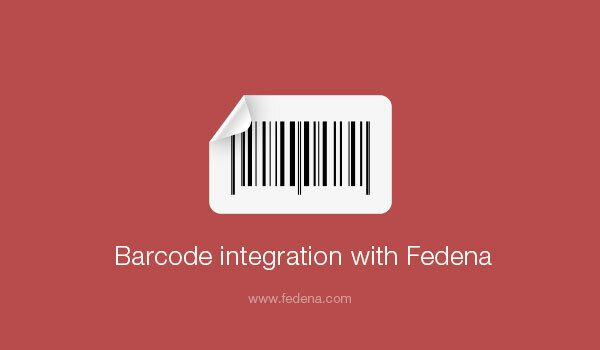 Fedena clients can now create and assign SMS packages to individual institutions. Each package will consist of two things. One, the SMS provider details such as the service provider name, message limit, package validity, etc. Two, the SMS configuration settings which includes the parameters and their appropriate values. From the account panel, Fedena clients can then easily manage and track the SMS usage by their institutions. For every fee transaction created in Fedena, you can now provide a reference number based on the payment mode. You can then use this number to track and search for transaction details. The new page “Fee Receipts” in the Finance module will list all the receipts for payments made by employees, students, and guest users against fee collections. Equipped with Quick search and Advanced search functionality, you can quickly search and print fee receipts. This new report will help you to generate the ‘Basic type’ CCE report in PDF format for all students of a batch at the same time. The report will include the grades obtained by the students in both scholastic areas and co-scholastic areas. From a student’s profile, Students, Parents, and Employees can now easily keep track of the fees the student has paid and is due to pay in the current batch as well as previous batches. One of the major enhancements made to the Timetable module is the ability to assign more than one teacher to a period. Something we think teachers are going to love is how clear and easy it is to read their timetables. And for the teachers and students who love to print their timetables, we have added a little print button. 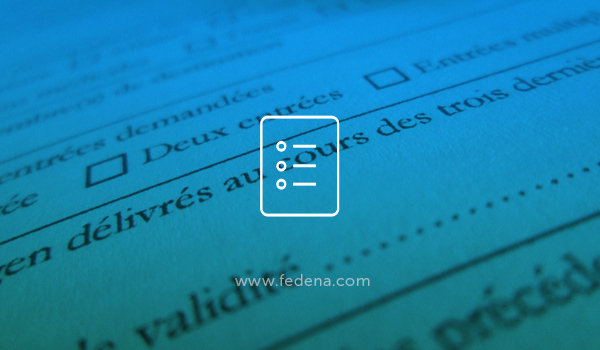 For every fee transaction created in Fedena, full or partial, a fee receipt is created. Now each fee receipt can be printed on a newly designed layout. 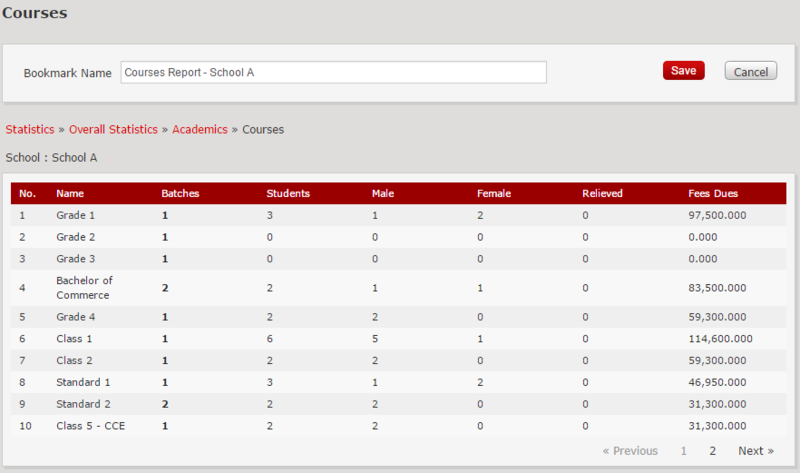 Additional filters have been added to the Student-wise Report and Consolidated Report to give you more control. So there it is, Fedena 3.4.3. We’re eager to hear from you! Write to us at info@fedena.com and let us know your thoughts, questions, and feedback. Planning fee collection schedules for hundreds of students is a time consuming process, but something that’s very important and cannot be avoided. To ease the process, many institutions at the beginning of the academic year, plan and decide the various types of fees each batch of students have to pay. All these fee types are then recorded in Fedena and the fee collection dates are scheduled for each batch. 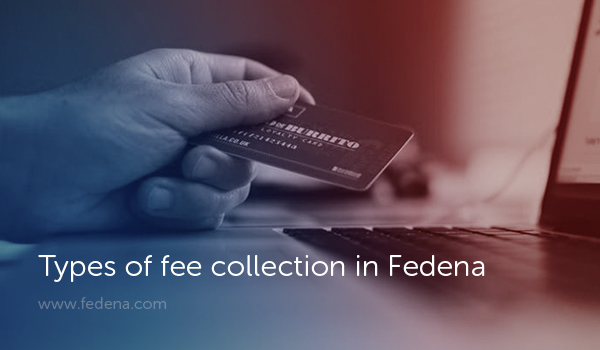 Each fee collection will consist of payment and discount heads or as Fedena calls it ‘fee particulars’ and ‘fee discounts’. When the fee collection dates draw near, often times institutions want to make changes to the scheduled fee collections. Institutions either want to remove certain fee particulars or fee discounts, or they want to add new fee particulars or fee discounts for a batch or for a particular student. Here’s how Fedena can handle this. If you are using the Fedena version 3.4.1 or 3.4.2, the solution is simple. 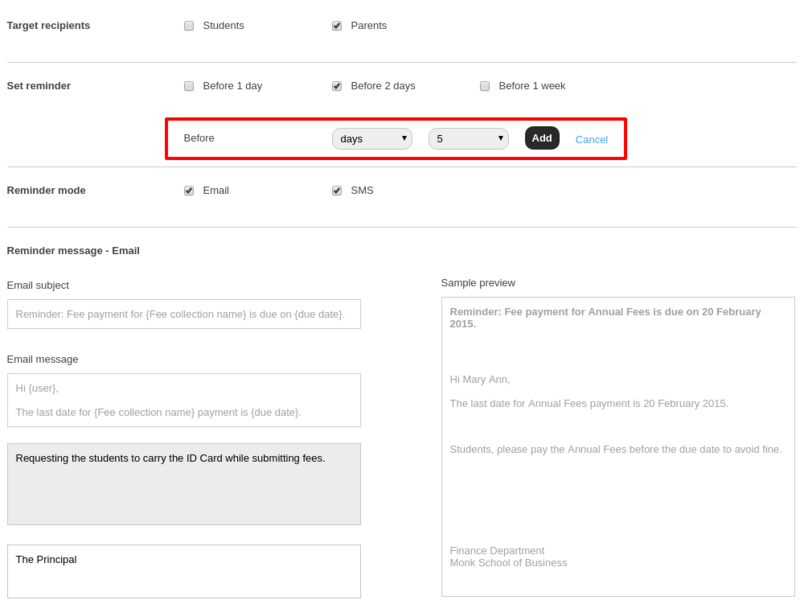 Use the Manage Fee Collections page to easily add or remove fee particulars and fee discounts from student fee collections. Go to the Manage Fee Collections page (module access icon > Administration > Finance > Fees > Schedule Fee Collection Dates > Manage Fee Collections). Select the batch and the fee collection. If you select Particular, all fee particulars created for the batch, for a student, or for a student category are displayed. If you select Discount, all fee discounts created for the batch, for a student, for a student category, or for a fee particular are displayed. Select the checkboxes to assign or remove fee particulars and fee discounts. A point to note, if a student has paid the fees towards a fee collection, newly created fee particulars and fee discounts cannot be assigned to that fee collection, neither can existing fee particulars nor fee discounts be removed from that fee collection. 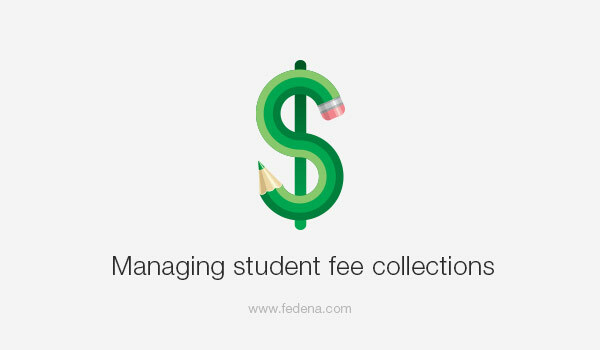 If you are using a Fedena version 3.4 and older, the only solution is to delete the scheduled fee collections, create the new fee particulars and fee discounts or delete the ones that don’t apply, and then schedule the fee collections all over again. This process can get even more tedious if you’ve already started collecting fees from students. So if you haven’t already upgraded to the latest Fedena version – do it now! How in Fedena admins can hassle-free manage the admission numbers? Admission numbers are unique numbers allotted to students on their admission. No two students can have the same admission number in the institution, even if they are admitted to a different course or batch. Admission number may also be referred to as ‘Registration Number’, ‘Student ID’, or ‘Student Number’ in many institutions. How do an institutes allot an admission number? When admitting a student using the Student Admission Form, access the Module icon >> Academics >> Students >> Student Admission. *Admission number is the first field you will see at the top of the form. The Admission number field is a mandatory. Since every time a student is admitted an admission number must be allotted, institutions can choose to auto increment the admission number. This setting can be set by selecting the enable auto increment of Student Admission No. checkbox on the General settings page. The first admission number will have to be manually entered according to the convention the institution intends to follow. From the next admission onwards, the number will be automatically incremented. If the first admission number is 1, the following admission numbers will be 2, 3, 4, and so on. If the first admission number is A1, the following admission numbers will be A2, A3, A4,…A9, A10, A11, and so on. The alphabet ‘A’ will remain constant. If the first admission number is 1A, the following admission numbers will be 1B, 1C,…1Y, 1Z, 2A, 2B…2Y, 2Z, 3A, 3B…3Y, 3Z, and so on. If the first admission numbers is A, the following admission number will be B, C, D,…X, Y, Z, AA, AB,…AY, AZ, BA, BB…BY, BZ,…CA, CB,…CY, CZ, and so on. If the Enable auto increment of Student Admission No. checkbox is not selected, you will have to manually enter the admission number every time a student is admitted. School 1 – Year of joining + a unique number. So the student admission numbers looked like this: 150001, 150002,…150067, 150068,…150666, 150667, and so on. School 2 – School name abbreviated + a unique number. So the student admission numbers looked like this: DPA0001, DPA0002,…DPA0067, DPA0068,…DPA0666, DPA0667, and so on. School 3 – School name abbreviated + a unique number. So the student admission numbers looked like this: DPA1, DPA2,…DPA67, DPA68, DPA666, DPA667, and so on. College 1, for students of a particular course – Year of joining + Course name abbreviated + a unique number. So the student admission numbers looked like this: 03ZOO01, 03ZOO02,… 03ZOO44, 03ZOO45. College 2, for students of a particular course – Year of joining + College code provided by the university it is affiliated to + a unique number. So the student admission numbers looked like this: 15045201, 15045202…15045244, 15045245. Is there a quick way to allot student admission numbers? The easiest and quickest way to create many student records in Fedena is to Custom Import the student admission records. When setting up the CSV file to be imported, enter the admission number for each student according to the naming convention your institution intends to follow. The student admission number is also the username that a student will use to log in to Fedena. 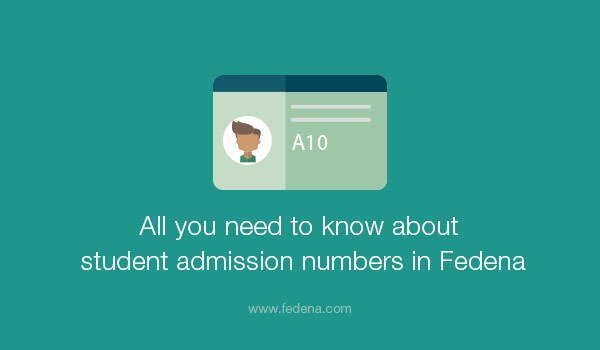 It is important for students to remember their admission number. Many institutions may also ask the students to mention their admission number in any type of communication with the institution. Can I change a student’s admission number? Generally the admission number of a student remains unchanged till the student leaves the institution. However, if the admission number of a student needs to be changed, it can be done at any time from the student’s profile by the Administrator or a Privileged Employee. Students cannot change their admission number from their Fedena login. Can I allot the admission number of a deleted student to a newly admitted student? Yes, you can allot the admission number of a student who you have permanently deleted from Fedena to a newly admitted student. The Applicant Registration plugin allows students to register to courses online. When a student is allotted to a batch of a course, the admission number is automatically allotted. The admission number follows the naming convention of the last admitted student, regardless of whether the last student was admitted to the same batch or to a batch of a different course. Student admission numbers appear in all student reports including attendance reports, examination reports, course/batch reports, and fee receipts. 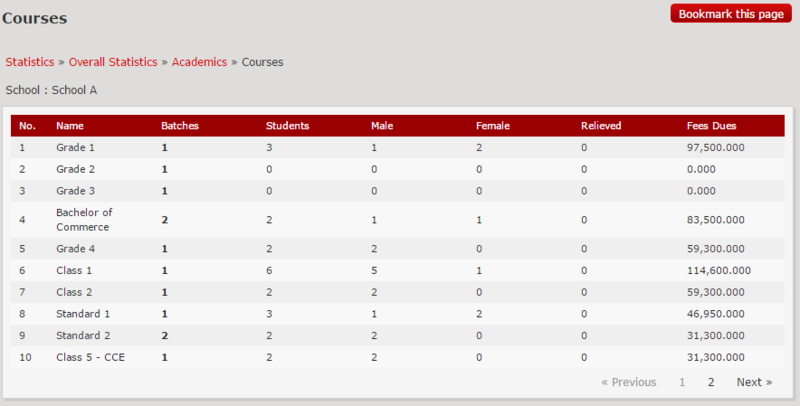 In Fedena, you can search for students from several areas based on your user role and privileges assigned. For example, you can search for students using the search bar at the top of your dashboard, when managing user accounts, when scheduling fee collections, when allotting transport, and many more. Apart from using the name of the student to search, you can also use the student’s admission number to search. Let us know in the comment section if your institution uses a specific naming convention when allotting admission numbers.